The U.S. Environmental Protection Agency this month released a 45-page plan detailing a potential fix to the decades-old health hazard prevalent in fish at the Donna Lake. A 1,600-foot-long siphon built in 1926, which facilitates the movement of water underneath the Arroyo Colorado, may contain cancer-causing chemicals called polychlorinated biphenyls which have been found in fish in the lake, according to the document released this month by the EPA. The EPA and the Texas Commission on Environmental Quality this week held two public hearings about cleanup options in both Donna and Alamo, the two cities nearest the lake operated by the Donna Irrigation District Hidalgo County 1. A court reporter documented public comments, which will be considered before a decision is made by the EPA. The costliest plan, referred to by the federal agency as Alternative 6, would “fully address the threats to human health and the environment” by not only replacing the siphon and removing contaminants but also would include fish removals and monitoring. Alternative 3, at a cost of about $15.6 million, calls for potential repairs to siphon, via a process called siplining, as well as dredging, excavation and fish removals. The state’s health agency discovered that fish in the Donna main canal, reservoirs and Arroyo Colorado contain “elevated concentrations” of PCBs, chemicals banned in 1979 due to health and environmental dangers. In 1992, the Lower Rio Grande Valley Environmental Study was launched after infants in Cameron County were found to have elevated rates of neural tube birth defects, which led to the discovery of contaminated fish caught at the a Donna Irrigation District canal. 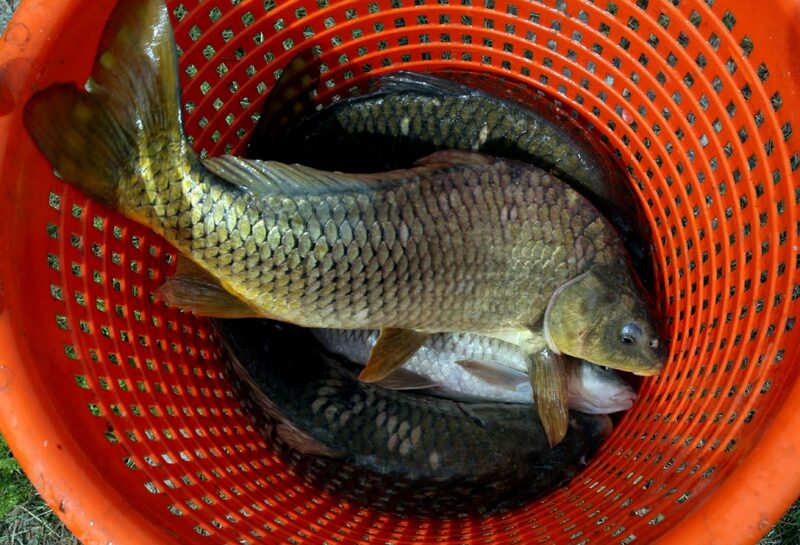 The birth defects, though, have not been linked to the contaminants found in the fish. 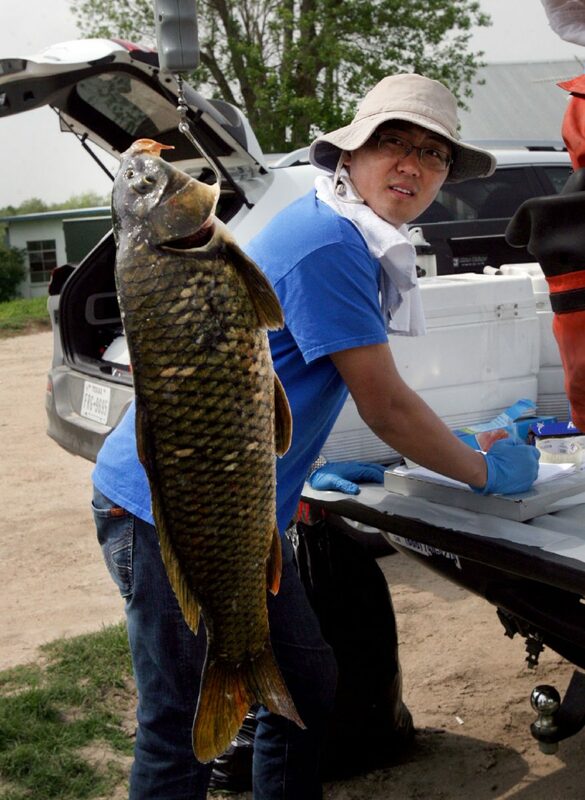 “Blood samples from the residents in possession of the fish also had elevated concentrations” of the cancer-causing chemicals, according to the document. The hazardous pollutants found within the fish prompted the EPA to declare the Donna Lake a Superfund site, areas the federal agency focuses in on due to hefty contamination levels. For years, federal and state agencies have told residents not to consume fish from Donna Lake, but in March 2013, the EPA received word that a vendor was potentially selling the contaminated fish to local restaurants. Though federal and state environmental agencies have not found drinking water to be contaminated by the cancer-causing chemicals found in the fish, the Donna Irrigation District Hidalgo County 1 supplies drinking water for the city of Donna and the North Alamo Water Supply Corporation. The EPA will also consider taking “no action” or “limited action” consisting of mostly educational materials for residents and minor engineering controls. The Superfund designation of Donna Lake would allow for the government to be reimbursed for the cleanup process by those responsible for the contamination, according the information provided on the EPA’s website. The federal government, though, has designated funding to cleanup Superfund sites, if necessary. The EPA could select or modify one of the four options after the public comment portion of the process concludes June 5. Until then, public comments about the proposals may be submitted to the EPA by email at casanova.rafael@epa.gov or by phone at (800) 533-3508.